Android 7.0 Nougat doesn’t radically change the way the system looks on the surface, but just one layer below it’s a very different experience. Google has brought back some of the feature-richness that used to separate Android from iOS. Getting to grips with all of the new bits may take a while. However, these Android 7.0 Nougat tips and tricks will give you a head start. Data Saver is one of the most important new features of Android 7.0. It’s not hugely glamorous, but it is a good way to take a bit of control over your device’s battery and data usage while in standby. What Data Saver does is to let you choose which apps have data access when the screen is off. It’s particularly handy for keeping battery-draining apps like Facebook at bay. READ ALSO: Android Nougat 7.0 Features You Need to Know. Data Saver is disabled as standard, but you’ll find its switch in Settings > Data Usage > Data Saver. Tap on it and you can choose the apps that have full access when in standby. Some custom Android interfaces let you fiddle with how much info is crammed onto each screen. The feature has finally come to standard Android, and it works better than ever. In Settings > Display > Display Size, you can alter the scale of the whole OS. It changes icon and font sizes, but makes sure each setting looks right on your device’s screen. Some other attempts at this same idea result in the interface looking a bit, well, wrong. Some notifications are essential. Others, not so much. Android 7.0 lets you ‘silence’ certain kinds of notifications, based on the app they come from. Android 7.0 introduces expandable notifications. They look a bit more complicated than before, but let you rely more on your drop-down menu, and less on apps. To the right side of your email notifications you’ll see a tiny arrow button. This lets you expand that notification to show all of your recent unread email headlines. It’ll save you jumping into your email app every time you check your phone. The ‘recently used apps’ screen you get to by tapping the square soft key is more important than ever in Android 7.0 Nougat, thanks to split-screen multi-tasking. You can give it a clear-out if you like, by flicking all the way up to the top of this display. This makes a little Clear All button appear at the top of the screen. Tapping it flushes all your recently used apps. Here’s a tip that applies to all recent versions of Android. You can unlock a ‘Developer Mode’ that gives you access to lots of extra control over the system. You probably won’t want to touch much of it, if anything. However, tinkerers will want to have a look around. To enable Developer Mode, go to Settings, Scroll down to About, then tap the Build Number entry until a pop-up appears to tell you you’re a developer. This will make a Developer Options menu appear in Settings. A Developer extra you might want to tweak is the speed of screen transition animations, found towards the bottom of the Developer Options menu. The most directly useful feature in the new order of notifications is being able to reply to messages from the notification itself. Select the message's notification, then tap Reply. A text box will appear, letting you reply without having to actually dip into the messenger app at all. 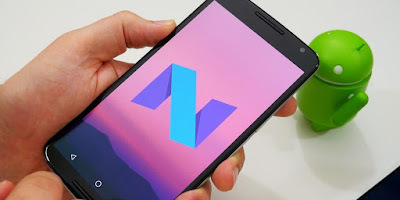 That's all about the new android 7.0 Nougat tips and tricks you need to know about. If you have any questions, don't hesitate to use the comment box below.